Atlantic Monthly Press, 9780802125385, 820pp. Karl Marlantes's debut novel Matterhorn has been hailed as a modern classic of war literature. In his new novel, Deep River, Marlantes turns to another mode of storytelling--the family epic--to craft a stunningly expansive narrative of human suffering, courage, and reinvention. In the early 1900s, as the oppression of Russia's imperial rule takes its toll on Finland, the three Koski siblings--Ilmari, Matti, and the politicized young Aino--are forced to flee to the United States. Not far from the majestic Columbia River, the siblings settle among other Finns in a logging community in southern Washington, where the first harvesting of the colossal old-growth forests begets rapid development, and radical labor movements begin to catch fire. The brothers face the excitement and danger of pioneering this frontier wilderness--climbing and felling trees one-hundred meters high--while Aino, foremost of the books many strong, independent women, devotes herself to organizing the industry's first unions. As the Koski siblings strive to rebuild lives and families in an America in flux, they also try to hold fast to the traditions of a home they left behind. Layered with fascinating historical detail, this is a novel that breathes deeply of the sun-dappled forest and bears witness to the stump-ridden fields the loggers, and the first waves of modernity, leave behind. 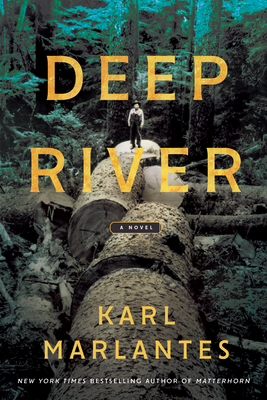 At its heart, Deep River is an ambitious and timely exploration of the place of the individual, and of the immigrant, in an America still in the process of defining its own identity. Karl Marlantes graduated from Yale University and was a Rhodes Scholar at Oxford University, before serving as a Marine in Vietnam, where he was awarded the Navy Cross, the Bronze Star, two Navy Commendation Medals for valor, two Purple Hearts, and ten air medals. He is the bestselling author of Matterhorn and What It Is Like to Go to War. He lives in rural Washington.